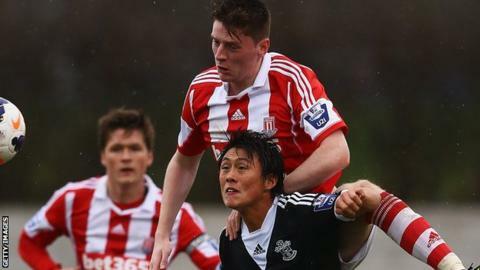 Barrow have signed Stoke City defender Ryan O'Reilly on a month's loan. O'Reilly is a former Republic of Ireland Under-17 international and has featured in all of City's Premier League Under-21 fixtures this season. The 20-year-old centre-back will provide cover for the suspended George Williams and injured Steve Williams. Meanwhile, Barrow have parted company with striker Anthony Wilson, by mutual consent. He joined the club in July 2014 from North Ferriby.